How could I have possibly missed the signs? Is this actually happening? Those questions flooded my mind as I watched an unannounced nuclear bomb decimate my marriage. The man I had shared 19 years of my life with had treaded a dark path and chosen to walk away to save face instead of save our marriage. Feelings of betrayal hit me like a two-by-four. I could hardly breathe from the sheer weight of sorrow. Overwhelmed at the loss, my soul cried. My trusting heart lay shattered around me. Difficult days followed. Bone-numbing weariness blanketed my mind and sadness threatened to drown me in darkness. I had been discarded. I was alone. Have you been there? That heartbreaking morning a year and a half ago began what proved to be the most difficult yet amazing journey of my life. How in the world would I ever be able to forgive such betrayal? It seemed insurmountable. Betrayal is worse than death. It is the willful slaughter of hope. That horrible day of discovery was cataclysmic to our marriage. I’ll never forget the sound of that door closing behind him. I crumpled under sobs that came from my soul. I had been robbed. Robbed of my husband, my marriage, trust, and love. The loss was devastating. Thankfully, God put an amazing couple in my life who scooped me up for the night to stay with them. They provided me with love, hugs, and a safe place. They didn’t utter anything profound, they just let me be. Be sad. Be heartbroken. Be quiet. Be a mess. Just be. When I awoke the next morning after falling asleep out of sheer emotional exhaustion, I got dressed and headed to work in order to let them know I’d be taking off the rest of the week . I needed to start collecting the pieces of my broken life. Before I left my friends’ home, I gave them my wedding ring as a reminder for them to pray for us. Somewhere deep inside, I knew I would never wear that ring on my wedding finger again. In the weeks that followed, it was very clear that my ex-husband was not going to put in the work required to save our marriage. Divorce proceedings ensued. There are almost no words to describe the sadness of the “this is mine; that is yours” process. But I resolved not to fight over “stuff.” He moved the balance of his things out of our home on our wedding anniversary. It was surreal to drive downtown to the courthouse to sign the final divorce papers. My attorney and I approached the bench, the judge signed the papers, handed them back, and said, “I wish you good luck.” Luck was the last thing I wanted. God was everything I needed. How do I even begin forgiving all that happened? How does anyone? I didn’t want to forgive at first. I wanted to seek, kill, and destroy him for all the hurt and pain. But I didn’t want to be an angry, bitter person. We’ve all met people like that. The ones that leave us wondering what in the world happened to them that caused them to be like that. So I began my journey toward forgiveness. I kept a journal from that horrible first day until a month after the divorce. When I got up the nerve to go back and re-read it, I found a startling entry on Day 1: “God, I’m so hurt and angry over what he’s done, but help me to forgive.” I don’t even remember writing that prayer. But throughout some incredible Christian counseling, I learned that was truly my desire. I learned that compassion characterizes forgiveness. Genuine forgiveness extends from a love that comes from sorrow. I was grieving over what he had become rather than what he had done. Embracing that truth freed my heart, mind, and soul. When I finally realized that God had worked in me true forgiveness, I texted my ex-husband to see if we could meet. That’s the last step in forgiveness. We have to let that person know they’ve been forgiven. Although he couldn’t bring himself to meet, I texted him his forgiveness anyway. There. I did it! Even though he didn’t respond at the time, I made peace with the fact that I wasn’t responsible for how he accepted it. I was responsible for extending it. That day began my new life free of heart clutter. I have been able to embrace the life that God has now given me. Surprisingly, some people may be angry about the forgiveness we extend. There are a few close friends of ours who have asked me how I could have possibly forgiven what happened. Much like the older brother in Luke 15’s story of the prodigal son, some don’t understand extending forgiveness for hurts caused and wrongs carried out. But again, that’s an issue they have to work out for themselves. My wedding ring has been transformed into a cross-shaped ring of forgiveness, worn on my right hand, inscribed with the words, “FORGIVEN” and “Col. 3:13.” It serves as a reminder of what God has forgiven me and how I am to keep extending it to others. Unforgiveness keeps pain alive and traps us in the past. Assigning blame or re-living the betrayal proves toxic. Forgiveness allows us to joyfully live in the present and permits us to open our hearts and hands to receive the hope and future that God has planned for us. If you struggle with unforgiveness, pray for a changed heart—for you. Forgiveness has everything to do with our actions, not theirs. As long as we hang on to unforgiveness, we remain trapped. Seek counseling to work through deep-seated resentment. I did. It works. Then take that step toward forgiveness that frees our heart to live again. God loves you dearly and promises to guide your every step. Donna Pyle was born in the one-horse town of Kountze, Texas. The daughter of a real estate agent and a homemaker, Donna was raised in south Texas with her three sisters. Donna’s parents instilled in her a passion for reading and new school supplies, which sparked her love for writing. Her father’s frequent job moves made attending church a low priority. At 23, a friend invited Donna to a church service. Six months later, she was baptized and confirmed into God’s family and began her greatest adventure of all with God at the helm of her life. After 17 years of digging into God Word and learning from incredibly, godly mentors, Donna founded Artesian Ministries in 2007 to teach women how to love and live on God’s Word. As an avid student of Scripture, Donna has written over 17 Bible studies and is currently working on her first book. As a frequent public speaker, she teaches with humor, grace, and exuberance. With incredible warmth, she draws women in so that they feel as if they’re sitting down together over a cup of coffee and God’s Word. You’ll be laughing one minute and crying the next as Donna passionately conveys just how much Jesus loves each and every precious soul. Donna has a passion for interdenominational ministry since it so wonderfully and accurately represents the body of Christ. 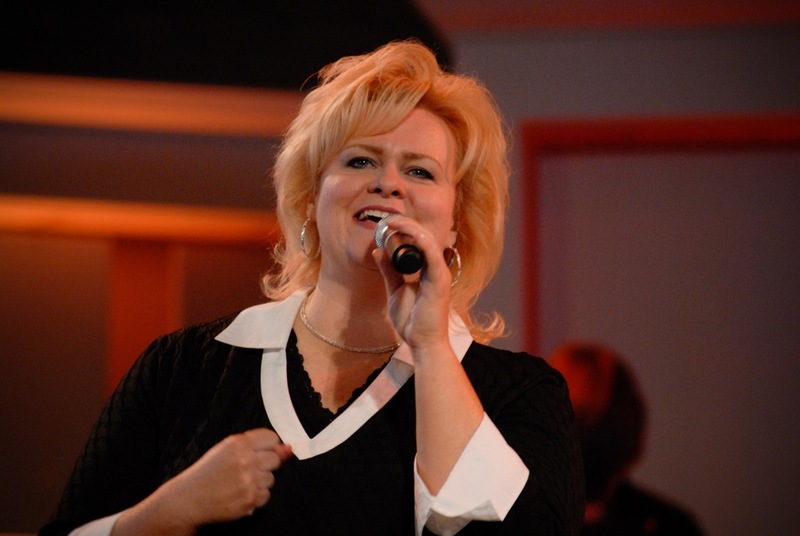 She attends Salem Lutheran Church in Tomball, TX where she serves on the worship team. Donna enjoys traveling, reading, singing, and driving her cats crazy with feather toys. Thank you for sharing your incredibly painful experience with us, Donna. And it so vividly describes how much forgiveness is a decision of our will, even when our emotions seem overwhelmed. We can choose to do it God’s way—truly the path of healing. God bless you. Thank you for your encouragement and kind words. God truly does provide everything we need. Blessings! Thank you, Jodie. It’s one testimony I never wanted, but God never wastes a hurt. He has used it in incredible ways. Blessings! Donna, thank you for sharing your story. Not many can find the freedom you have through extending forgiveness and I pray your testimony will light them way for them, for us, to let go of bitterness and embrace forgiveness. You are a blessing. Michelle, it is freedom to the fullest! I now know, more than ever before, that God walks with us through the desert times. He is the canteen that never runs dry. Donna, that is such a moving testimony. I won’t ever forget what you did with your wedding ring. Thank you, Rosslyn. That ring serves as a constant reminder of the freedom that true forgiveness provides. Blessings! Donna, your story made me cry. It broke my heart to hear how yours had been broken. I can’t imagine what that would have felt like, not only what happened in your marriage, but then all the aftermath. How awesome that you had loving friends who surrounded you. That is how the body of Christ is supposed to be. We are to hold each other up, yet we often keep one another at arm’s length. Praise God for the support and love He offered through your friends! And thanks again for sharing your story with us! Jen, thank you so much for providing the platform to provide hope and encouragement for others. Whether they have faced a similar situation, or hurt and betrayal at the hands of others, God IS faithful to provide us with the desires of our heart. If we truly want to live in freedom and forgiveness, He WILL grant it. He truly is all we need. Blessings! Jennifer: Great blog, and great blog series you have going here! Thanks, Zizzie! So glad you stopped by! Thanks for your encouragement, Lizzie. For His glory! Love ya.